The Zurich Computational Psychiatry Course 2018 will take place from Sep 10th – 14th. 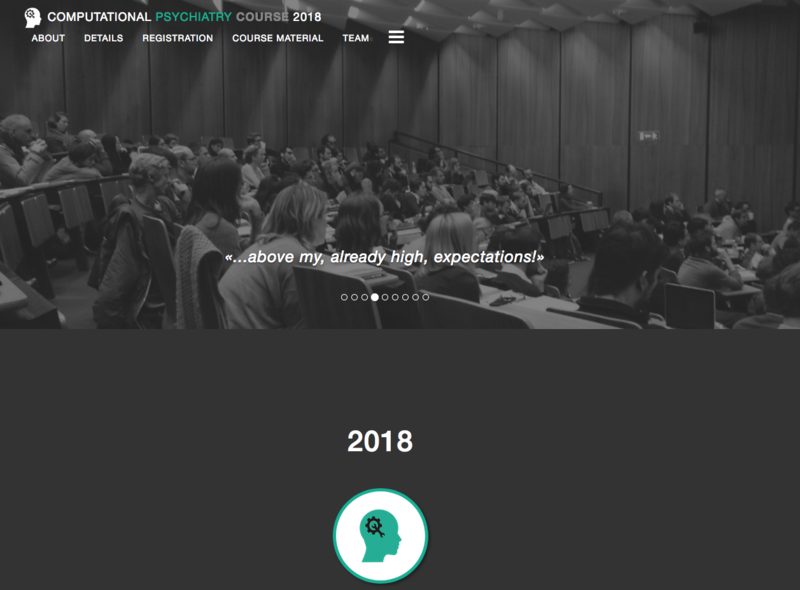 The first day covers topics in Clinical Psychiatry providing a conceptual basis for the type of questions that Computational Psychiatry will need to address, including an open panel discussions led by scientists with a clinical background in Psychiatry. The fourth day features a series of talks by leading scientists on the applications of Computational Psychiatry, including a panel discussion on the future of Computational Psychiatry.